Migration issues are rarely far below the surface in the current neverendum debate. Overcrowding is cited as an inevitable consequence of the migrant influx but no one questions the underlying causes of congestion. To what extent are overcrowded cities and the pressures on services and infrastructure the result of our own homegrown policies over which we have complete control? Parag Khanna in his new book ‘Connectography’ observes the growth of megacities – increasingly coastal megacities – and, like the UK’s Centre for Cities and the RSA’s City Growth Commission, regards that growth as inevitable – a long-term trend towards the supposed richness of culture and economic efficiencies of scale. The drift within England from North to South and the consequential pressure on London and the South East has at least been recognized as in need of remediation – hence the Northern Powerhouse concept – but the remedy proposes further growth of great cities from Manchester to Newcastle via Leeds, and HS3 must go to the back of queue behind HS 2 nowhere near as important. The 2007 Treasury White Paper on subnational growth pointed in sensible directions but fell amongst the chaos of global economic calamity (and bonkers bankers) in subsequent years. 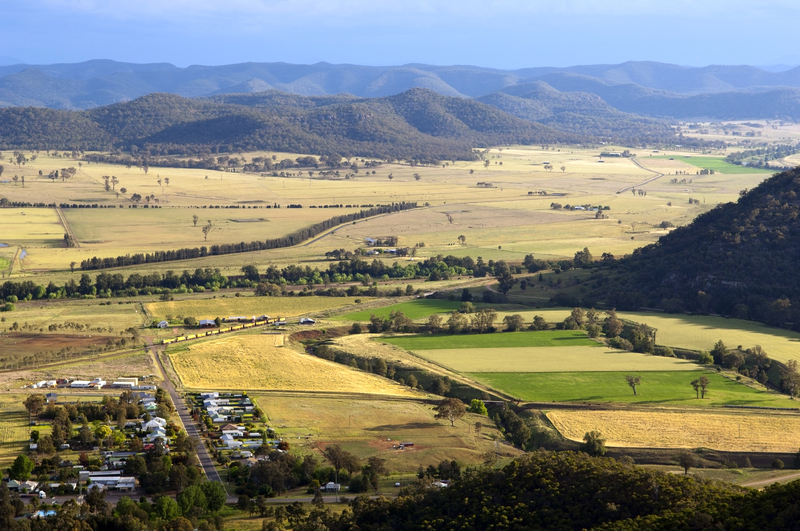 But what if our smaller towns and communities in the vastly greater hinterland were better enabled to be economically thriving without driving their citizens away to distant cities never to return? While we bemoan the pressure of overcrowded capitals do we spare any thought for the depopulation of vast tracts of land and market towns or the demands on road and rail travel for commuters who cannot find work near home? This is our internal migration issue, the imbalance of rural and urban economies. It affects many countries – which is why you can buy a second home for next to nothing in rural Northern Spain or the middle of France. We read of massive effort and creativity being poured into solving the challenges of making megacities habitable. That’s no bad thing but let’s not kid ourselves; we choose to huddle together. That internal migration towards ever-more complex cities (mostly internally-displaced economic migrants) far exceeds any issue of a few hundred thousand refugees arriving from elsewhere. Local Authorities can and should rise to the challenge. They may not have mayors like megacities have mayors but they surely know what is needed to bring the children (and jobs for the children) home. They understand the consequences of neglect. It is time for Municipal Enterprise. The issue that went away but now needs to come back requires a multi-year round of rural renewal. The investment will pay dividends – not least in the greater resilience of cities! A theme paper for an Environment Management conference in Delhi has sparked debate about the underlying assumptions. The paper characterises city dwellers as materially rich compared to rural citizens described as ‘poor’ – but then considers the prospects for lifestyle values that would position rural citizens as environmentally rich and city dwellers as increasingly impoverished. The author’s intent is clear – to challenge delegates with a potential reversal of fortunes – but the problems with these characterisations are two-fold. Firstly, we are well aware of material deprivations in cities, towns and villages across the land – economic inequalities cannot be fully correlated geographically. There is no doubt, for example, that rural areas may have a raw deal in terms of transport and digital infrastructures but it is, at the same time, far from realistic to assume that city-zens are much better served. If you really want a life off-grid then 1 mile downstream from Tower Bridge in SE16 may be just the digital desert you desire. Secondly, it is mistaken to assume that rural citizens value being less connected. Some may well luxuriate in leafy glades surrounded by natural wonders and wildlife but making a living, having and creating gainful employment, being able to access medical care and education, and contributing to wider society are not absent from non-urban family agendas. The key to reconciliation between different environments lies in the priorities given to issues of resilience. You might imagine that cities need, for example, stronger environmental efforts and rural areas need better digital infrastructures – but those are a generalisations; policies based on averages are ‘merely average’ and, generally, unfit for purpose. Places and peoples are different and have diverse needs. The presumed-to-be unstoppable tidal flow of humanity towards major conurbations is as much in need of thoughtful management as migrations between countries. The leadership effort surely needs to be directed towards ironing out the relative risks and inequalities that prompt these migrations. Leaving them to grow and fester will surely only fuel future problems. 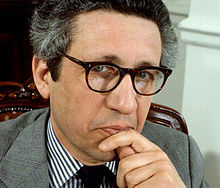 When the late, great, Bernard Levin was writing in the 1970’s for The Times, he dismissed repeated calls for the return of capital punishment as just ‘one of the popular substitutes for five minutes thought’. That phrase suggests he had in mind plenty of other substitutes worthy of his ire. Now, more than two decades on from his passing, the death penalty that he might have raged against is the likely death of an economy where governance has lost its bearings. There’s no knowing, of course, what ‘popular substitutes’ he would nowadays have selected for his brilliant brand of incisive criticism, but current fascinations with all things digital suggest at least three – these being prompted by the growing evidence of the economic impacts of infrastructure investment and the impending tsunami of data being unleashed by video technologies. Written from #FTTH2015 Warsaw and informed by presentations from VentureTeam and Diffraction Analysis. As the RSA’s Call for Evidence is set to close next Friday we were reminded to look back at how we viewed the Urban Regeneration scene in 2008 – just prior to the financial meltdown. Such was the paucity of ground-breaking developments that we described Urban Regeneration as ‘a cottage industry’. Now that the economic cycle is once again supportive of renewed hope for urban regeneration and there are calls for smarter (or more intelligent) cities and communities, it’s perhaps time to pick up those themes that now seem more than ever essential in the search for prosperous local economies. Not symmetric, not fast, not super, not fibre – and not relevant. The ‘Cities-are-Supreme’ brigade gathered for the RSA’s Cities Growth Commission launch yesterday. They seemed oddly united in their view that rural dwellers should accept relative broadband poverty and stop whining. The city enthusiasts may be searching for economic growth but curiously they overlook the poverty of digital infrastructures within their own cities. In the late 1800’s an early expert in the new field of advertising reckoned that the message should be delivered 20 times before it gained acceptance. From childhood we know the power of repetition. It may be heroic engineering to squeeze a little data through a copper wire designed to do something completely different but that alone is no cause for celebration. Next year no doubt someone will come up with the idea of ‘celebrating’ the 30th anniversary of the privatisation of British Telecom. For free market enthusiasts the timing was fortuitous. They got it off the government books five years before the penny dropped and digital communications became understood as an essential utility. But no matter – we could pretend that we now had choice. Even better – now we had a market we could also have a market regulator. Oftel did a really great job – determinedly reducing prices (remember RPI-x?) and, as the incumbent felt so squeezed, the regulator very reasonably allowed that an irreducible part of their line rental charges should compensate for their need to fund the replacement of the ageing copper network on an 18-year basis. By that reckoning we should by now all be benefitting from an access network rebuilt nearly twice over but, curiously, it seems not to have happened quite that way. Far more convenient it seems to try and squeeze digital data down copper wires and extract much value as possible from the legacy analogue network before anyone suggests that the emperor is not wearing any clothes. Yes, we are back to children’s stories and endless repetition. These clothes are super. They are fast. Say it often enough and folks will buy it. Fortunately we are blessed with children who do not buy it. They know that these clothes are not woven with fibre. They know they are not fit for purpose. They know that muddling through with not do. They know that so-called ‘fibre broadband’ is not fully fibred, is not super, is not fast, is not symmetric, is not future-proofed and is not relevant for they way we live now. 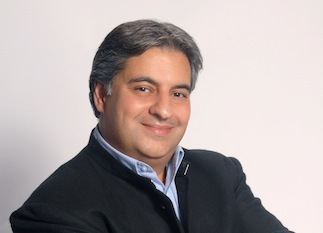 Global futurist and CEO of Fast Future Research, Rohit Talwar, will explore the social, educational, economic and environmental potential of the intelligent city at the Intelligent Cities Conference in Leeds on 19 June. This will include a deep dive into how tomorrow’s city should be viewed as the enabler of the future, and the ‘soft elements’ of creating an intelligent city to take full advantage of upgrading its physical technological infrastructure. Talwar will address how the development of intelligent cities is a critical move in creating a sustainable future. Which will engage and develop local economies, create community cohesion and build lifelong education platforms that equip children and adults alike for a lifespan that could last 90 years of more. Rohit will use real life case study examples about how the trends and forces that are driving and enabling this multi-faceted view of social, educational and community cohesion in a city that can be facilitated with the technology and infrastructure already available. Rotterdam’s investment in its planning for sustainability, Helsinki’s investment in energy and resources, and the IBM central city control centre in Rio de Janeiro which integrates the work of multiple agencies, are all examples of how cities around the world are taking a smart approach. “Technology is a critical enabler of the smart city, but a truly sustainable and intelligent model requires us to go much broader and think about every aspect of what makes a city vibrant and viable. The Government is working hard to make the technology infrastructure a priority but it needs to see this as part of the vision not the whole solution to what we need for the future of our cities,” he added. Rohit Talwar’s presentation will take place at 12.35pm at The Rose Bowl, Leeds Metropolitan University on 19 June. The Intelligent Cities conference will also include presentations from Cambium Networks, Ericsson, EE, IBM, Cisco Arup, aql, Leeds Data Thing, Medtech University of Leeds and Synchronoss Technologies. Paul Hadley who is the Deputy Director Information Economy Industrial Strategy at the Department for Business, Innovation and Skills will also speak. The Intelligent Cities Conference is a business event and costs £50 plus VAT to attend. To register for the event please visit: http://www.regonline.co.uk/Register/Checkin.aspx?EventID=1209906.